Revelation's Image of the Beast - Do You Know What it Is? The image of the beast is described in the second half of Revelation 13. This page continues the study of the second beast of Revelation 13. If you haven't read it, you might want to go back to the previous page. "... he (the second beast) doeth great wonders ..." "... false prophet that wrought miracles ..."
"And deceiveth them that dwell on the earth by the means of those miracles ..." "... with which he deceived them that had received the mark of the beast ..."
This shows conclusively that the false prophet is the same as the second beast of Revelation 13. In either case, it is a figurative meaning because the first beast did not suffer a literal wound with a sword. It did certainly suffer a wound at the time of the Protestant Reformation and the word of God (the sword) was very much involved in that. The image to the beast is later (3 times in verse 15) called "the image of the beast." An image of something is a copy or likeness. "Life" is translated from the Greek word "pneuma" (G4151) and this is the only case in 385 uses where it is translated as "life." Its usual translation is into "Spirit" or "Ghost." How does one give life to an image? Only God can give life - make something alive. So it may not be life in the most literal sense - that the image of the beast becomes a living creature or being. This is likely only a deception or life in a figurative sense. We use expressions like something came alive in various ways. We might say something "came to life" to mean it took on certain attributes such as beauty or significant meaning. "The painting really came alive when the new frame was added." It can mean that something came into effect or became functional. To give life to the image of the beast may, in this case, mean that a system set up to function like that of the first beast was brought into effect. It is helpful in trying to understand what will happen in the future to know how the first beast functioned in the past. The religious system that dominated so much of European life during the Dark Ages was one that controlled people especially in regard to their religious lives. It required obedience and homage and acted rather severely against - even martyring by the millions - those who held other views. This system is now being very apologetic for its past persecutions and it trying to put forward a good image. However, it also claims to never change. There is a good record of how it deals (when it has the power and backing of the state) with those who do not follow its ways. Many people have (actually for many decades) understood that a system like the Papacy of the Dark Ages will be set up in the last days that will enact laws that regulate worship. A parallel to this can be seen in the story in Daniel chapter 3. Those early chapters of Daniel recounting the experiences in ancient Babylon were written as instruction and encouragement for us who will face the trials and temptations of modern, end-time Babylon. Nebuchadnezzar, the Babylonian king at that time, set up a golden image to himself and required his subjects to bow down and worship it. The three Hebrew young men who refused were rescued from certain death by none other than the Son of God. Similarly, those who steadfastly refuse to accept the mark of the beast or worship the image of the beast will be rescued by the Son of God at His Second Coming. The reference to causing those who don't worship the beast to be killed cannot mean that everyone who does not worship the beast will actually be killed because we know that there will be a faithful remnant who are alive to see the Second Coming. It may be something like a death decree as it was in Daniel 3. Ultimately, the image of the beast will be a copy of a system that was in force in the Dark Ages when the church, aided and backed by the power of the state, coerced people into believing a certain way. It may be hard to believe that such a thing could happen in our modern, free world but there are major changes coming to our world and the forces behind this move are very intent on achieving their goals. 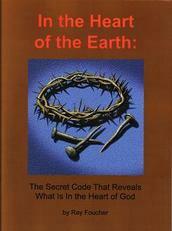 The next page talks about how the mark of the beast will be involved in these developments. Go to the next page in this Revelation 13 study - the Mark of the Beast.